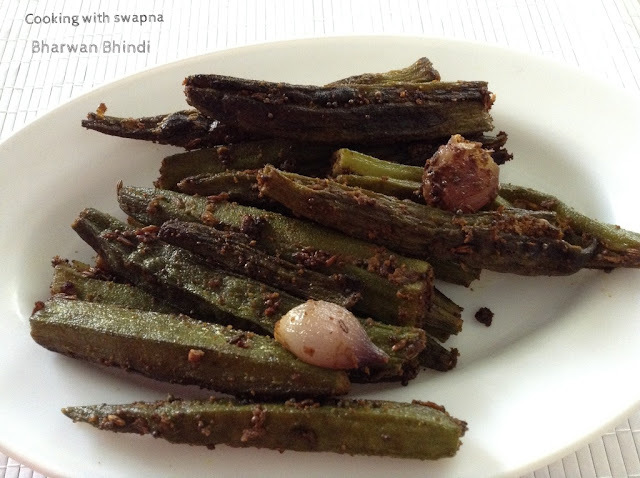 Bharwan bhindi is most popular Gujarati dish made by stuffing okras with aromatic spices. 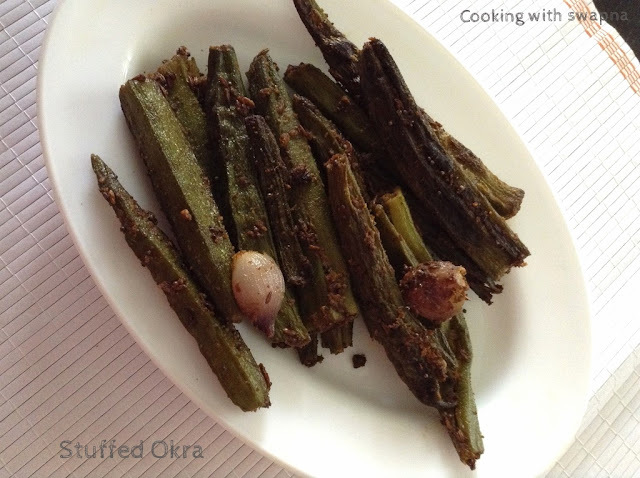 Tender Okra's are used for this preparation. 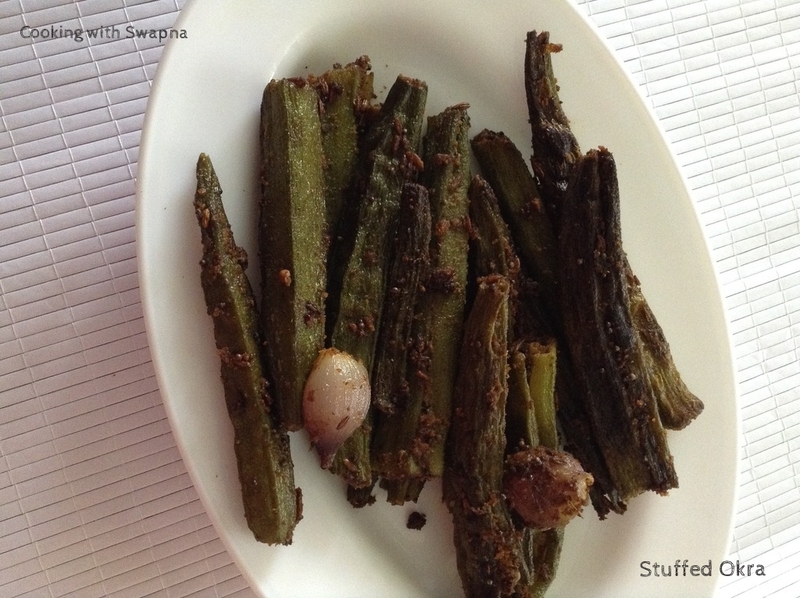 Addition & quantity of spices can be adjusted depending upon our family preference. 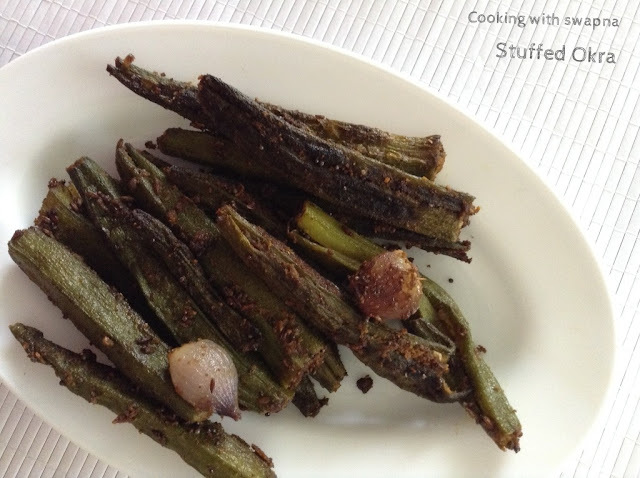 I like to use small onions which makes this dish finger-licking!!! 1. In a bowl, mix together turmeric powder, red chilly powder, coriander powder, cumin powder, salt, garam masala, dry mango powder, chaat masala & hing. 2. Clean and dry the ladies finger. Slit them lengthwise and stuff them with the above mixture. 3. Heat oil in the heavy bottomed pan, add cumin seeds, ginger, garlic and small onions. Saute. 4. Add the ladies fingers & cook them over them low heat till done. Garnish it with coriander leaves.